Match ends, Rio Ave 0, Dynamo Kyiv 3. Second Half ends, Rio Ave 0, Dynamo Kyiv 3. Attempt missed. Younès Belhanda (Dynamo Kyiv) right footed shot from the centre of the box misses to the right. Assisted by Vladyslav Kalitvintsev. Evgeniy Makarenko (Dynamo Kyiv) wins a free kick on the left wing. Foul by Lionn (Rio Ave). Foul by Tiago Pinto (Rio Ave). Delay in match Aleksandar Dragovic (Dynamo Kyiv) because of an injury. Foul by William Jebor (Rio Ave). Attempt saved. Pedro Moreira (Rio Ave) right footed shot from outside the box is saved in the bottom left corner. Assisted by Tiago Pinto. William Jebor (Rio Ave) is shown the yellow card for a bad foul. Foul by Alhassan Wakaso (Rio Ave). Attempt saved. Artem Kravets (Dynamo Kyiv) header from the centre of the box is saved in the top centre of the goal. Assisted by Vladyslav Kalitvintsev with a cross. Substitution, Dynamo Kyiv. Yevgen Selin replaces Mykyta Burda because of an injury. Alhassan Wakaso (Rio Ave) hits the bar with a right footed shot from the centre of the box. Assisted by Lionn following a set piece situation. Attempt blocked. Lionn (Rio Ave) right footed shot from outside the box is blocked. Assisted by Tiago Pinto. Foul by Vladyslav Kalitvintsev (Dynamo Kyiv). Boateng (Rio Ave) wins a free kick on the right wing. Delay in match Mykyta Burda (Dynamo Kyiv) because of an injury. Attempt missed. Prince (Rio Ave) header from the centre of the box misses to the left. Assisted by Lionn with a cross following a corner. Corner, Rio Ave. Conceded by Miguel Veloso. Attempt saved. William Jebor (Rio Ave) right footed shot from the centre of the box is saved in the centre of the goal. Assisted by Tarantini. Substitution, Rio Ave. Esmael replaces Ukra. Substitution, Dynamo Kyiv. Vladyslav Kalitvintsev replaces Jeremain Lens. Miguel Veloso (Dynamo Kyiv) wins a free kick in the defensive half. Substitution, Rio Ave. Alhassan Wakaso replaces Diego Lopes. Attempt missed. Diego Lopes (Rio Ave) right footed shot from outside the box is high and wide to the right. Assisted by Ukra following a corner. Corner, Rio Ave. Conceded by Evgeniy Makarenko. Hand ball by Miguel Veloso (Dynamo Kyiv). Hand ball by Jeremain Lens (Dynamo Kyiv). Attempt missed. Mykyta Burda (Dynamo Kyiv) right footed shot from outside the box is close, but misses to the left following a set piece situation. Jeremain Lens (Dynamo Kyiv) wins a free kick in the attacking half. Foul by Marcelo (Rio Ave). Attempt saved. William Jebor (Rio Ave) right footed shot from the centre of the box is saved in the centre of the goal. Assisted by Lionn with a cross. Attempt missed. Pedro Moreira (Rio Ave) right footed shot from outside the box is high and wide to the right. Assisted by Diego Lopes. Goal! Rio Ave 0, Dynamo Kyiv 3. Artem Kravets (Dynamo Kyiv) left footed shot from a difficult angle on the left to the bottom right corner. Attempt saved. Younès Belhanda (Dynamo Kyiv) right footed shot from outside the box is saved in the bottom left corner. Assisted by Andriy Yarmolenko. Attempt saved. William Jebor (Rio Ave) right footed shot from the right side of the box is saved in the centre of the goal. Attempt blocked. Diego Lopes (Rio Ave) left footed shot from outside the box is blocked. Assisted by Lionn. Substitution, Dynamo Kyiv. Miguel Veloso replaces Sergiy Sydorchuk. Foul by Artem Kravets (Dynamo Kyiv). Pedro Moreira (Rio Ave) wins a free kick in the defensive half. Foul by Aleksandar Dragovic (Dynamo Kyiv). Diego Lopes (Rio Ave) wins a free kick on the right wing. Substitution, Rio Ave. William Jebor replaces Renan Bressan. Attempt missed. Ukra (Rio Ave) right footed shot from outside the box is too high. Assisted by Lionn. Corner, Rio Ave. Conceded by Serhiy Rybalka. Corner, Rio Ave. Conceded by Aleksandar Dragovic. Attempt saved. 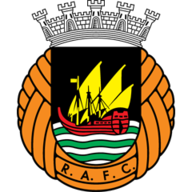 Prince (Rio Ave) header from the centre of the box is saved in the centre of the goal. Assisted by Renan Bressan with a cross. Mykyta Burda (Dynamo Kyiv) is shown the yellow card. Boateng (Rio Ave) wins a free kick in the attacking half. Attempt missed. Serhiy Rybalka (Dynamo Kyiv) right footed shot from the centre of the box is too high. Assisted by Jeremain Lens following a fast break. Attempt blocked. Renan Bressan (Rio Ave) right footed shot from outside the box is blocked. Delay in match Tiago Pinto (Rio Ave) because of an injury. Tiago Pinto (Rio Ave) wins a free kick in the attacking half. Tarantini (Rio Ave) wins a free kick in the attacking half. Attempt missed. Tarantini (Rio Ave) header from the centre of the box is too high. Assisted by Renan Bressan with a cross following a set piece situation. Tarantini (Rio Ave) wins a free kick on the right wing. Tiago Pinto (Rio Ave) wins a free kick in the defensive half. Attempt blocked. Andriy Yarmolenko (Dynamo Kyiv) left footed shot from outside the box is blocked. Assisted by Younès Belhanda. Attempt saved. Jeremain Lens (Dynamo Kyiv) right footed shot from outside the box is saved in the centre of the goal. Assisted by Younès Belhanda. Domagoj Vida (Dynamo Kyiv) is shown the yellow card for a bad foul. Renan Bressan (Rio Ave) wins a free kick on the left wing. Attempt saved. Diego Lopes (Rio Ave) right footed shot from outside the box is saved in the centre of the goal. 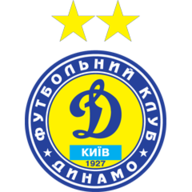 Second Half begins Rio Ave 0, Dynamo Kyiv 2. First Half ends, Rio Ave 0, Dynamo Kyiv 2. Foul by Sergiy Sydorchuk (Dynamo Kyiv). Prince (Rio Ave) wins a free kick in the defensive half. Offside, Rio Ave. Cássio tries a through ball, but Diego Lopes is caught offside. Corner, Dynamo Kyiv. Conceded by Renan Bressan. Jeremain Lens (Dynamo Kyiv) wins a free kick on the left wing. Attempt missed. Lionn (Rio Ave) right footed shot from outside the box misses to the left. Diego Lopes (Rio Ave) wins a free kick in the attacking half. Attempt missed. Diego Lopes (Rio Ave) right footed shot from a difficult angle on the right is close, but misses to the right. Assisted by Tiago Pinto with a cross following a corner. Corner, Rio Ave. Conceded by Sergiy Sydorchuk. Foul by Boateng (Rio Ave). Younès Belhanda (Dynamo Kyiv) wins a free kick in the defensive half. Renan Bressan (Rio Ave) wins a free kick in the defensive half. Corner, Dynamo Kyiv. Conceded by Lionn. Renan Bressan (Rio Ave) is shown the yellow card for a bad foul. Andriy Yarmolenko (Dynamo Kyiv) wins a free kick on the left wing. Foul by Renan Bressan (Rio Ave). Corner, Dynamo Kyiv. Conceded by Cássio. Attempt saved. Younès Belhanda (Dynamo Kyiv) right footed shot from the left side of the box is saved in the top centre of the goal. Assisted by Evgeniy Makarenko. Evgeniy Makarenko (Dynamo Kyiv) wins a free kick in the defensive half. Foul by Pedro Moreira (Rio Ave). Goal! Rio Ave 0, Dynamo Kyiv 2. Younès Belhanda (Dynamo Kyiv) right footed shot from outside the box to the bottom left corner. Assisted by Jeremain Lens. Ukra (Rio Ave) wins a free kick in the defensive half. Artem Kravets (Dynamo Kyiv) is shown the yellow card. Artem Kravets (Dynamo Kyiv) has gone down, but that's a dive. Goal! Rio Ave 0, Dynamo Kyiv 1. Andriy Yarmolenko (Dynamo Kyiv) left footed shot from outside the box to the bottom left corner. Assisted by Sergiy Sydorchuk. Attempt missed. Renan Bressan (Rio Ave) right footed shot from the left side of the box misses to the left. Assisted by Diego Lopes. Attempt missed. Domagoj Vida (Dynamo Kyiv) header from the centre of the box is close, but misses the top left corner. Assisted by Evgeniy Makarenko with a cross following a corner. Corner, Dynamo Kyiv. Conceded by Ukra. Attempt blocked. Sergiy Sydorchuk (Dynamo Kyiv) right footed shot from the right side of the box is blocked. Attempt saved. Domagoj Vida (Dynamo Kyiv) right footed shot from the right side of the box is saved in the top centre of the goal. Assisted by Andriy Yarmolenko. Attempt blocked. Aleksandar Dragovic (Dynamo Kyiv) right footed shot from the centre of the box is blocked. Foul by Ukra (Rio Ave). Attempt missed. Diego Lopes (Rio Ave) right footed shot from the left side of the box misses to the right. Assisted by Pedro Moreira. Offside, Dynamo Kyiv. Evgeniy Makarenko tries a through ball, but Artem Kravets is caught offside. Boateng (Rio Ave) wins a free kick in the defensive half.